Speaking at the LA Film Festival this week, Iranian-born Hossein Amini was in an exuberant mood, talking at length about his affection for novelist Patricia Highsmith and the film’s male star Viggo Mortensen — and their ability to bring the dark side of human nature to the fore. 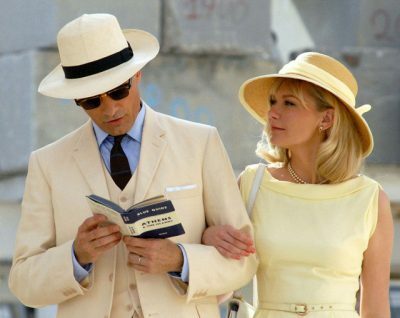 Debuted at the Berlin International Film Festival in March, the film is based on Highsmith’s novel of the same title, a stirring thriller centred on a con artist (Mortensen), his wife (Dunst), and their tour guide (Isaac) as they try to flee a foreign country after one of them is accused of murder. Published Jun 19, 2014 in Buro.